In a clustered situation the MachineName argument returns the name of the virtual server (so it won’t change if a failover occurs). Good Post. This works when using Microsoft Clustering, be weary if using other forms of clustering like Veritas. Nice! Thanks for the good info! Thanks for the bonus code post David. Inspecting all server(s) status is what I was really looking for when I came across this thread. Hi All, I need to details of activie cluster node history of my databases like when to when my databases are running on which node? hope someone can help me here and Thanks in Advance. 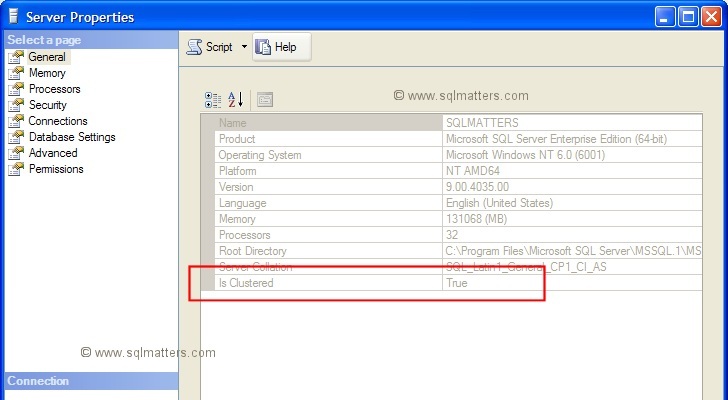 How to check which node is active without using SQL Server Management Studio, means from cluster manager. ComputerNamePhysicalNetBIOS does give the active node - the one running the current query.